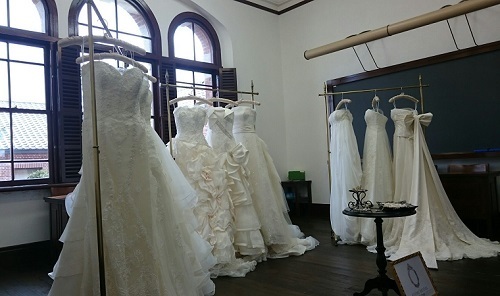 the outline of the wedding plan was explained to the guests. 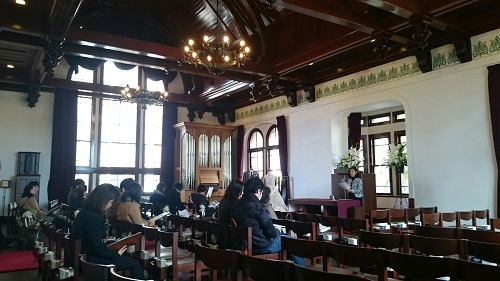 Later, they made a tour to another chapel “Reihaido”. 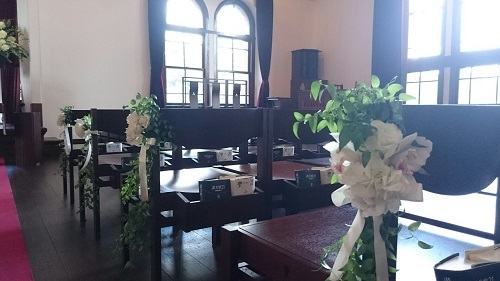 On February 7th, we held an inspection and wedding consultancy meeting at “Doshisha University”. Again, so many couples and their families participated in the event. We would like to thank for those who came over in spite of the snowy weather. I would like to give you a sneak peek of the event. 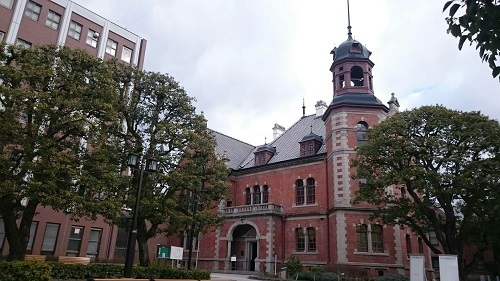 It is said that the founder of Doshisha, “Joseph Hardy Neesima” loved plum-blossoms rather than cherry blossoms. In front of the chapel, red and white plum trees were planted. They looked as if they were greeting the guests who visited there for inspection. 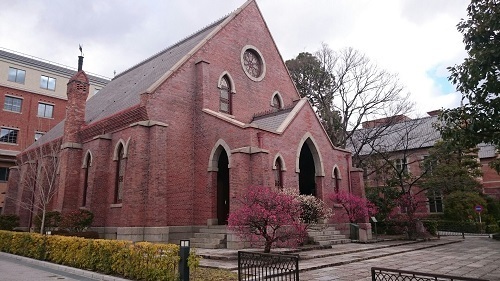 “When we were in University, “Clark Memorial Hall” was under repair work. They have been dating since their schooldays. They recalled and talked about their college life each other, and I could see that they were really looking forward to their wedding. I am so grateful for the opportunity to see them and looking forward to supporting their wedding ceremony soon!